Time for the annual financial goal report card. I set these goals at the beginning of the year to help bring focus to what I want to achieve financially. What’s a better way to stay focused than to make the goals public to thousands of readers! 2008 was a big and busy year for our family. Between building a new house, the new baby, and my 2 full time jobs (office job and MDJ), 2008 was a blur. Despite it’s quick pace, it is a year that will forever be in my memory. Onto the goals. Unfortunately, some of my financial goals did not get achieved this past year. This was mostly due to the historic market correction that we experienced in the latter part of 2008. Lets take a look at what happened. Goal #1: Increase our net worth by 25%. This was a very lofty goal of mine, but I felt that it was achievable due to the net worth growth in 2007. In my original article declaring my financial goals for 2008, I mentioned that I was a little worried about the drop in household income due to my wife going on maternity leave combined with additional baby expenses. Even though I managed to make more money in 2008 to account for the income deficit, the market was not kind to my equity portfolio. It’s worthy to note that I haven’t accounted for the appreciation of my real estate holdings as of yet which would increase the net worth by several percentage points. Goal #2: Increase our alternative/passive income to $2,500/month. Between my dividend, interest, rental and online income, I was able to surpass the $2,500/month milestone in 2008. This was one of my main areas of focus in 2008 to help make up for the reduced household income. Goal #3: Retain our after tax savings rate of 30%. With the additional passive income (which we stashed away), we were able to maintain a relatively high savings rate of approximately 30%. Of course this is approximate as our income was quite variable during 2008. Goal #4: Increase the blog readership of MDJ to 3000 RSS subscribers. I’m pleasantly surprised with the result of this goal. We started the year with around 1,400 subscribers and ended the year with over 4,000. Thank you for following my financial journey! Goal #5: Increase our charitable giving to $2,000 for the year. Along with our monthly contributions to local charities that are close to our hearts, we made a couple larger contributions near year end to bring us to just over $2,000 for the year. In addition, I started volunteering my time in working with a local charity which has brought the positive feeling of giving to a whole new level. Goal #6: 2008 will be spent learning more about buying stocks at a discount and obtaining a return of 12-15% on my investments. Although I did do quite a bit of research on bargain stock hunting, in hindsight, the market return goal was a bit of a stretch as it’s impossible to predict what the market is going to do in any particular year. The TSX (XIU) and The Dow in 2008 were both down about 30% which put a big damper on my market returns. Perhaps this kind of goal would be more realistic in a longer time frame. Coming up are my financial goals for 2009! Did you make any financial goals for 2008? How did you do? Congratulations on exceeding your goals in 2008. I do expect the markets to rebound in 2009, which will definitely help you in the net worth area. I am very impressed with your alternative income streams. $2500 is a very nice amount to come every month. FT: Given what happened in 2008, this is impressive performance. Correct me if I am wrong, but to me, you networth increase reflects you have good hold on your overall asset allocations (I like you being conservative of estimating real estate). $2500 an impressive cash flow…. I would have been happy with a 0% increase in net worth never mind 11%! It was all about the stock markets woeful performance for me. But, that should make 2009 a banner year! Congratulations to you, FT, for doing as well as you did. People say that 2009 is more challenging than 2008. So should we expect a lower income in our business and slowed growth on our net worth? Good luck!! Hope you succeed. Congrats on the 11%. I calculated mine and reached 9%. This was primarily due to my aggressive paydown of my mortgage. As for my 2008 accomplishments, I achieved 2 of the 3. 3. Increase my dividend income to $1000/year. Close but no cigar. 1. Pay off the remainer of my mortgage. 2. Increase emergency fund to $10K. 3. Increase my dividend income to $1100/year. I haven’t reviewed last year’s damage yet, but I know it’s an important process. I’m encouraged by the start of 2009 and look forward to following along with the rest of you. Best of luck in 2009 to all! That’s great. If you don’t mind MDJ, could you breakdown those into your rental:dividend:blog amounts. Steve in Montreal: How are you increasing your dividend income might I ask? Are buying and hold Canadian/US/both both dividend paying stocks in your brokerage account? FT: Congrats on the goals and the monthly cash flow! Good luck to you savvy investors in 2009!! I really want to give a big thanks to FT and all of the guest posters and all of those people who take the time to comment. I am 27 years old and just starting on my ‘journey’ and your site and visitors are very encouraging. You offer a framework for my financial goals and provide helpful articles in the process. Here’s to a great 2009 for MDJ and for everyone else who participates on this site. Wow super impressive. My new new years resolution is to be more like you. Keep up the good work! That’s awesome that you met your goals. I would love to be able to develop a great passive income like yourself. The problem is my site just needs to be more prominent, not enough people know about it, even though it has some great content for investors. Either way, it’s impressive what you have done with this site, and what you have done for yourself financially. Good Luck! Please explain how you expect to accomplish THIS goal, given you can contribute about 18% of your gross income to an RRSP. Could you give more details on your passive income please? Maybe do another passive income update? The last one you did was Sep 2007 and it was $800/month at the time. DAvid, you beat me too the question. When I read that statement I did a double take. I use the DRIP & SPP method. No fees and all Canadian companies except one US pharma. Go to http://www.dripinvesting.org for more info on how to do this. @FT: Goal #6…obtaining a return of 12-15% on my investments… Perhaps this kind of goal would be more realistic in a longer time frame. Honestly, FT, I think the problem with this goal is simply one of “asking the wrong questions”. I mean, what if the TSE jumped 30% and you made 20%? Technically, you beat your goal, even if it’s obvious that you didn’t really get what you wanted. By the same measure, what if you made 15% but inflation was particularly high that year? (instead of the 3-4% we’ve seen in the last decade) Maybe you made 15% in nominal gains but you could only buy 4% more “stuff” with those gains. The fundamental issue here is that your number (+12-15%) isn’t really “tied down” to anything. It’s just a number. 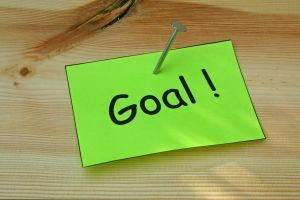 Your actual goal is something like “increase net purchasing power by 15%” or “increase quality of life to 1 massage / month” or “own 10 more ounces of gold”. If I were to re-write this for the current year, I would set a more stable target. For example, try measuring your investments in gold or silver (or loaves of bread or barrels of oil or some other commodity). Heck measure it in all four. Here’s the way I see it, if I start the year with $2000 and end the year with $2300 dollars (i.e. : I made 15%) that doesn’t necessarily mean that I’ve gone anywhere. Heck maybe last year’s $2000 TVs now cost $2400 due to inflation’s effect on the price. But if I can say that I started the year with about 20 ounces of gold in investments and ended the year with about 23 ounces, then I’ve made some form of real progress. It’s like measuring your retirement savings in “years of current income” rather than in straight dollars. It’s really all about context. To whit, the US government is in the process of printing some $1,000,000,000,000. They’re not actually “making more stuff”, just “printing” a dollar amount greater than the Canadian Federal Debt (and quite possibly the Canadian GDP by the end of 2009). Being up 15% next year could be meaningless. To clarify, my spouse and I earn a decent income and every year, we need to put ~$4,000 away each in RRSPs to avoid paying income taxes. Given that we’d rather “pay ourselves first’, we need to contribute, again this year, another $4,000-$4,500 each in our RRSPs to avoid paying additional taxes in the spring. I know this goal may be modest and easily achieved for some in this blog, but given our other goals of putting an additional ~ $10 K on our mortgage, putting a few K into our emergency fund and starting the dividend income investing journey, that will keep us plenty busy and focused. Thanks for the link. I have been doing some reading on this site and it seems to be the best way (DRIP and SPP investing) to get started with dividend income! Thanks, Mark. I now understand that you mean by purchasing $4500 in RRSPs you avoid having to forward any further sums to the CRA beyond the amount they have already deducted from your income through the year. Gates, great point. The goal should be more concrete and relative. Goals for 2009 coming up tomorrow! Given the huge variation in the price of gold over the years, I don’t understand how it is any better a measure than dollars. Had I measured it against 1980 at $750+/ oz, or ’83 or ’87 or even last March, would I be satisfied with a comparison at the current $850 valuation today? Might there be a better marker of real value in the market? I don’t think gold is necessarily it.